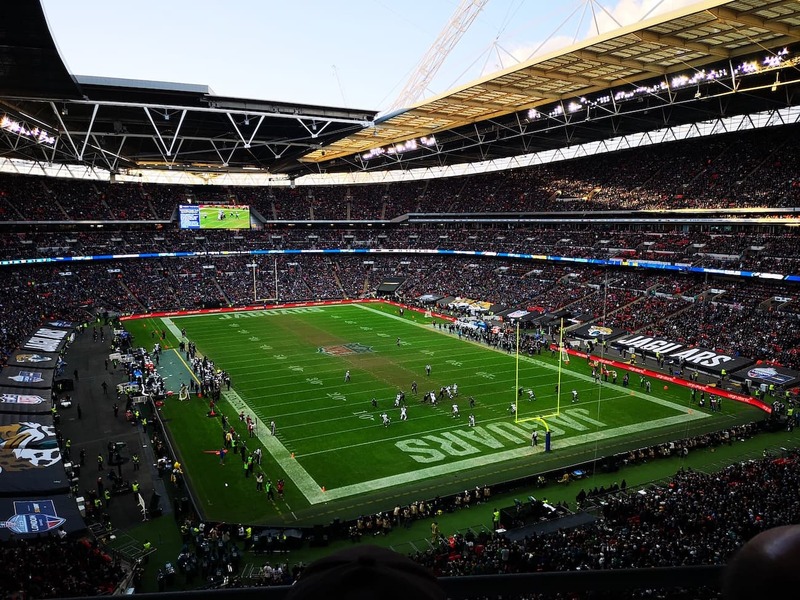 The NFL American football league has confirmed plans to play four games in London next year, with Wembley to host two fixtures and two more to be held at Tottenham Hotspur’s new stadium. The NFL concluded its 2018 London Games Series on Sunday, when the Philadelphia Eagles defeated the Jacksonville Jaguars 24-18 at Wembley – the third sold-out game at the stadium in consecutive weeks. Wembley will share hosting rights with Tottenham’s new stadium in 2019, although an opening date for the latter is yet to be confirmed, with the club confirming last week that it will not host its first match until January at the earliest. Tottenham’s new stadium had this year been due to host the October 14 game between the Seattle Seahawks and the Oakland Raiders, but continued delays meant the fixture was moved to Wembley instead. Tottenham has a 10-year agreement in place with the NFL to stage games at the stadium, which has been fitted with a retractable American football pitch. 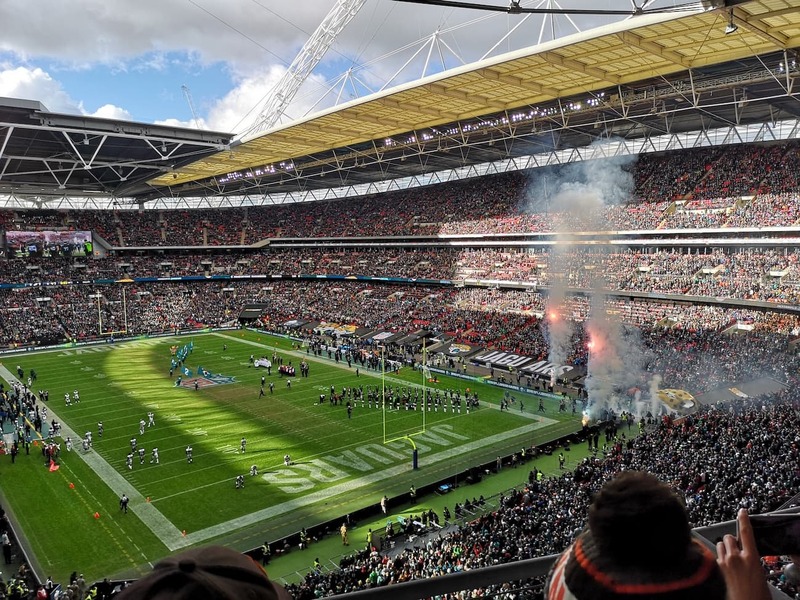 Details of the teams that will play in next year’s London series have not been announced but the Jacksonville Jaguars will be involved in one of the Wembley fixtures as part of a long-term agreement to play an annual game at the stadium. Next year’s games will bring the total number of regular-season fixtures played in London to 28 since the series began in 2007.